Once successfully logged in, you will view the below page. Select Manage. 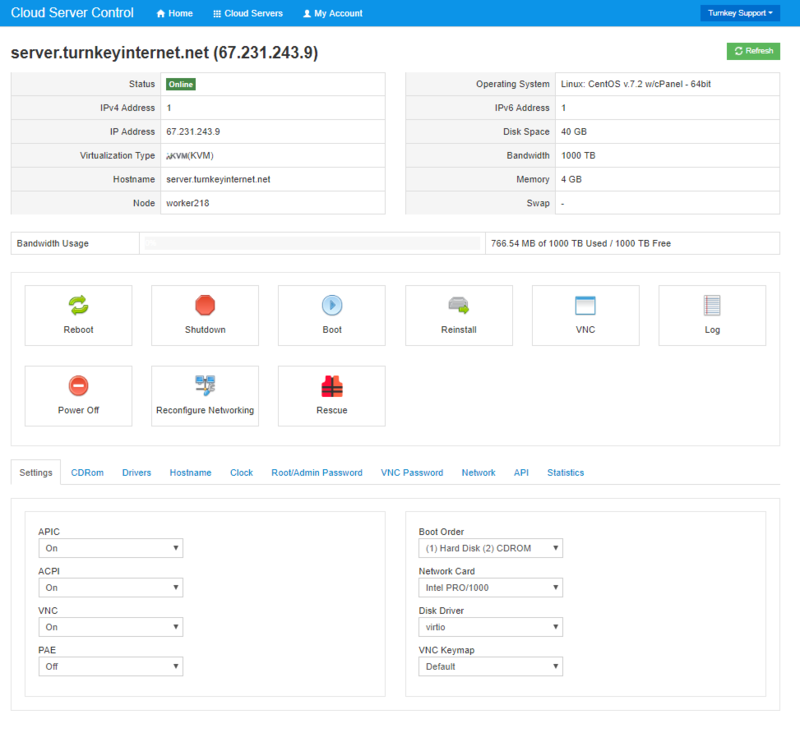 Once you select Manage, your main control panel for the server will appear. At the top of the page you will find your hostname, dedicated IP, and server specifications.